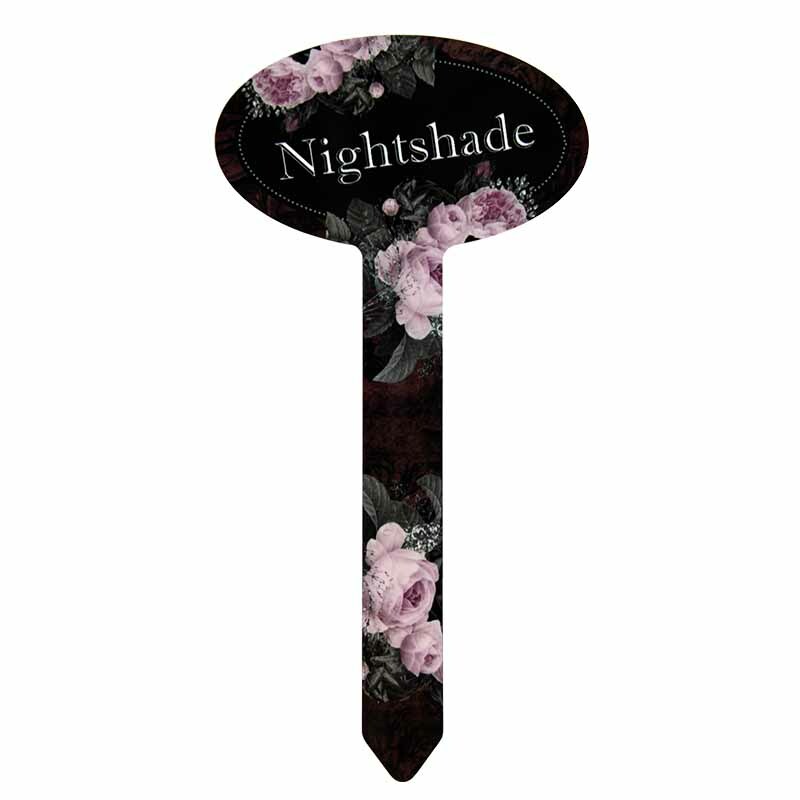 Decorate your yard, garden or potted plant with new garden and yard stakes. 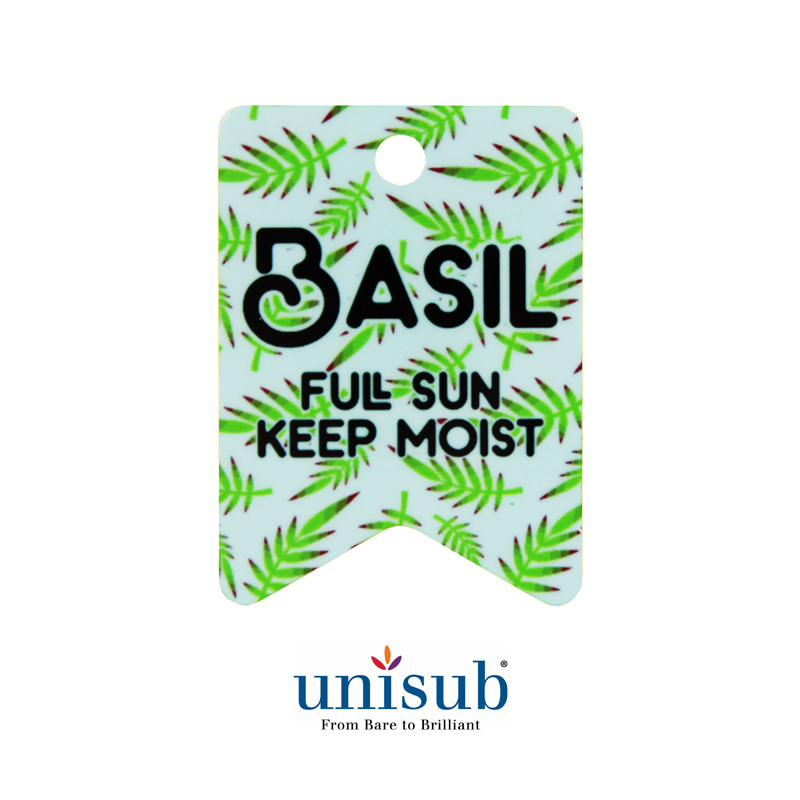 Available in 10 shapes, these sublimatable stake signs and yard signs are UV resistant, easy to clean and have a consistent, high gloss finish. Dimensions: Full Size: 7.75"x15.83"x .045"
Dimensions: Full Size7.75" x 10" x .045"
Oval Yard Sign, Unisub® Aluminum, 1-Sided, 7.75" x 10" x .045" with one stake. Imprinting area, not including stake: 7.75" x 4". 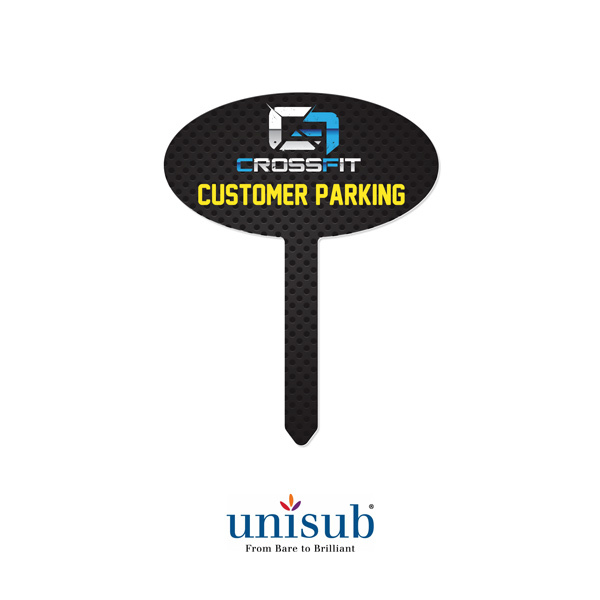 Dimensions: Full Size: 7.75" x 10" x .045"
Rectangle Yard Sign, Unisub® Aluminum, 1-Sided, 7.75" x 4" x .045" with one stake. Imprinting area, not including stake: 3.95" x 2.75". 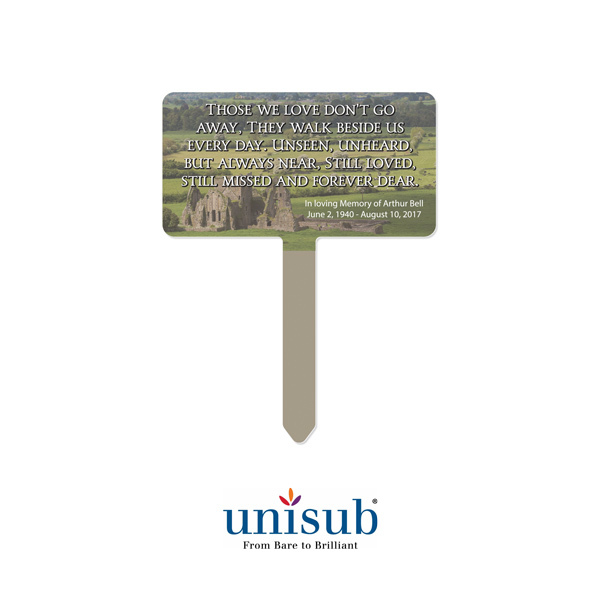 Dimensions: Full Size: 4" x 10" x .045"
Small Square Yard Sign, Unisub® Aluminum, 1-Sided, 4" x 10" x .045" with one stake. Imprinting area, not including stake: 4" x 4". 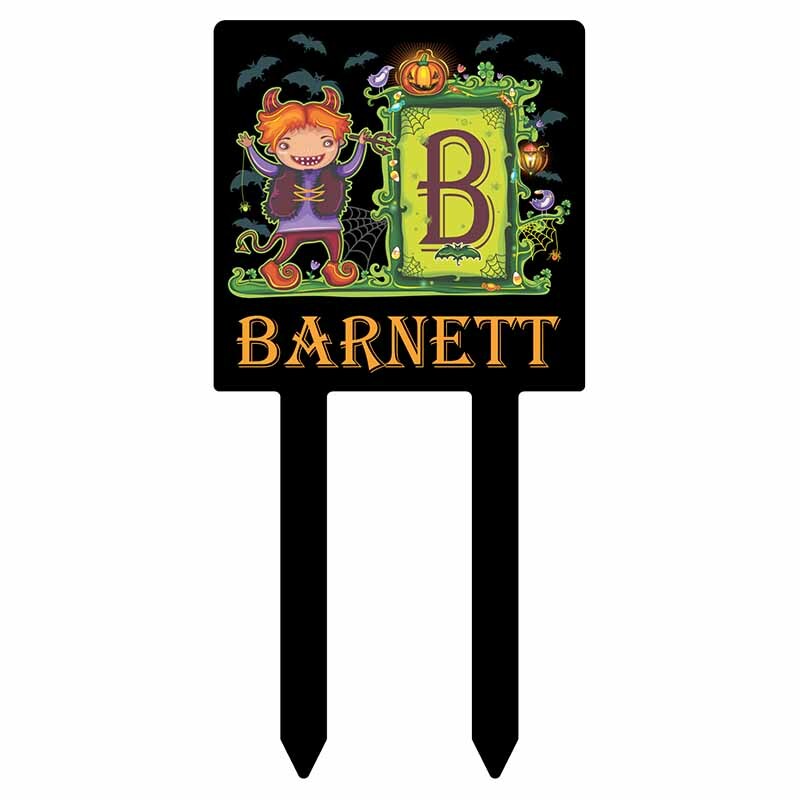 Dimensions: Full size:3.95" x 6.9" x .045"
Berlin Shaped Garden Stake, Unisub® Aluminum, 1-Sided, 3.95" x 6.9" x .045". Imprinting area, not including stake: 4" x 2.75". 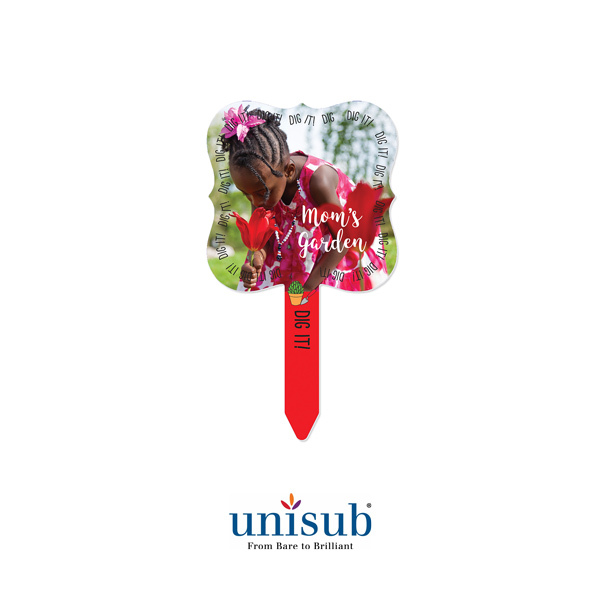 Benelux Shaped Garden Stake, Unisub® Aluminum, 1-Sided, 3.95" x 6.9" x .045". Imprinting area, not including stake: 3.95" x 2.75". 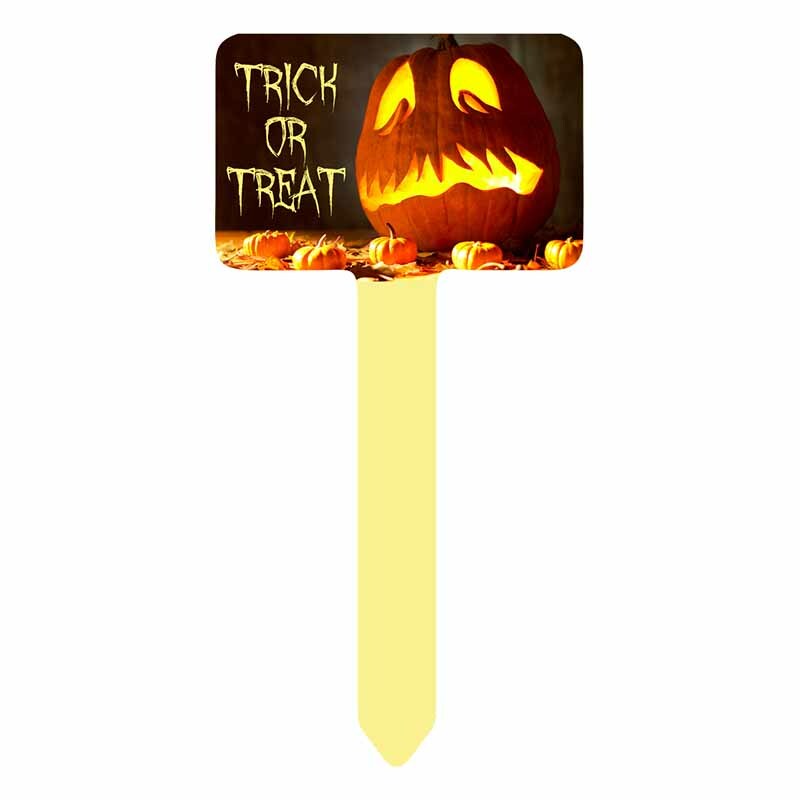 Dimensions: Full Size: 2.75"x6.9"x .045"
Prague Shaped Garden Stake, Unisub® Aluminum, 1-Sided, 2.75" x 6.9" x .045". 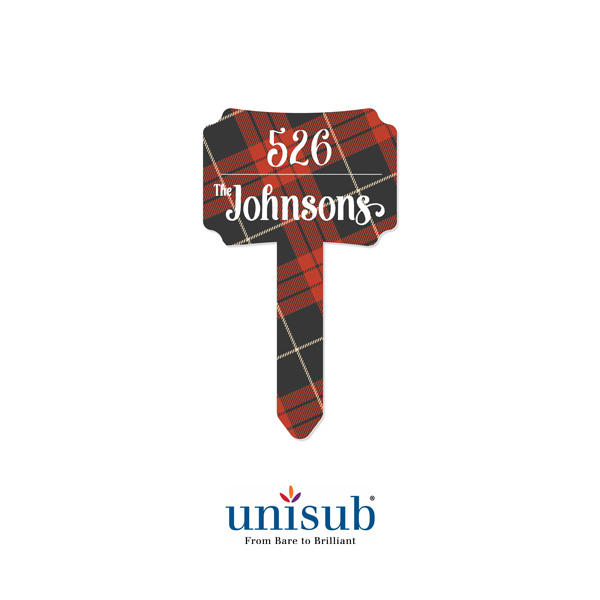 Imprinting area, not including stake: 2.75" x 2.75". 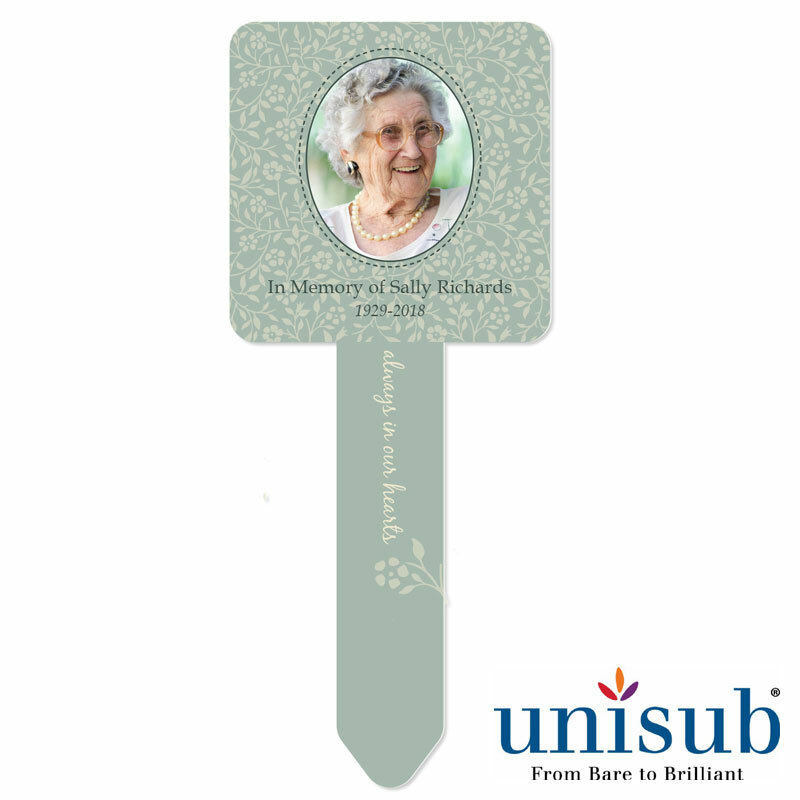 Dimensions: 2.75" x 6.9" x .045"
Square Garden Stake, Unisub® Aluminum, 1-Sided, 2.75" x 6.9" x .045". 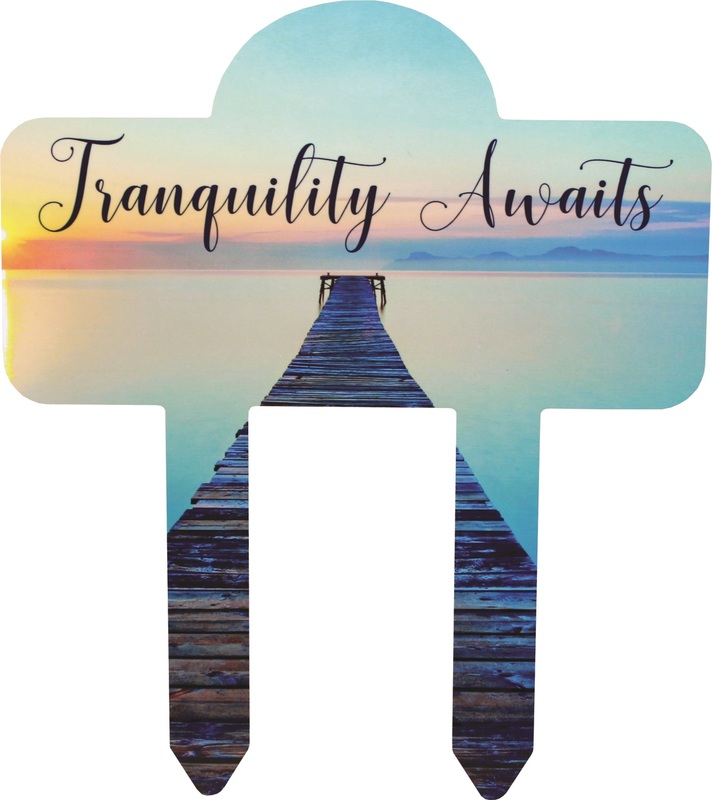 Imprinting area, not including stake: 2.75" x 2.75". 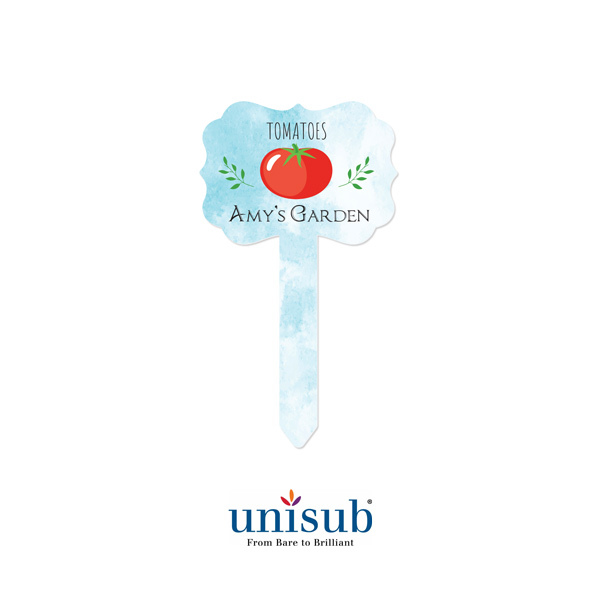 Dimensions: 3.5" x 6.9" x .045"
Oval Garden Stake, Unisub® Aluminum, 1-Sided, 3.5" x 6.9" x .045". Imprinting area, not including stake: 3.5" x 2". 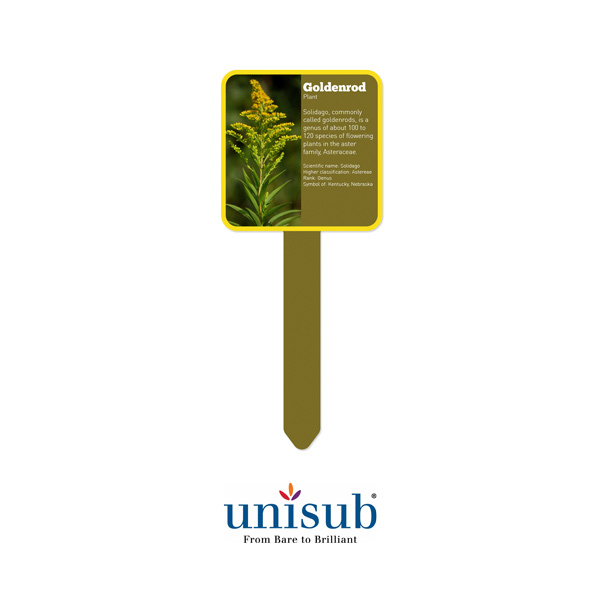 Rectangle Garden Stake, Unisub® Aluminum, 1-Sided, 3.5" x 6.9" x .045". Imprinting area, not including stake: 3.25" x 2".